More than 4.2 million people flock to Utah‘s Zion National Park each year, placing it in the top five of most visited U.S. national parks. Zion is one of many awesome parks in this part of the country, a place characterized by sheer canyon walls, towering rock formations, hanging gardens and woodlands. 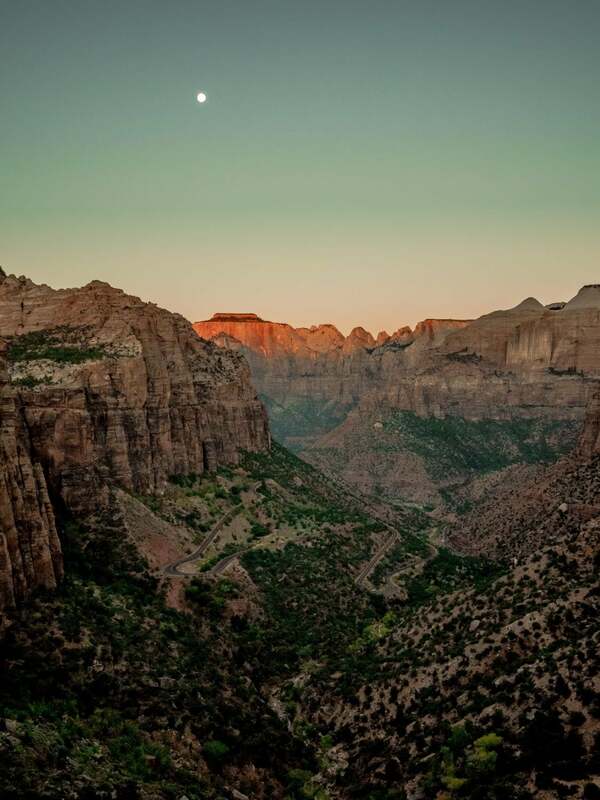 Zion National Park hikes show you every reason why Zion is in the top five of most visited U.S. national parks. 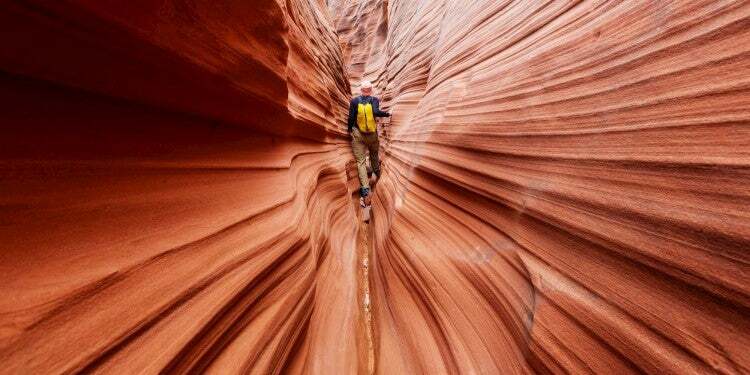 Its defining feature is Zion Canyon, a massive gorge created by eons of sandstone chiseling by the Virgin River. There are numerous slot canyons in the park, too, while the riverbanks are a lush ribbon of vegetation cutting through this arid region. Some twenty named trails meander through the park, including lung-bursting ascents of canyon walls, but also easy strolls on paved riverside pathways. 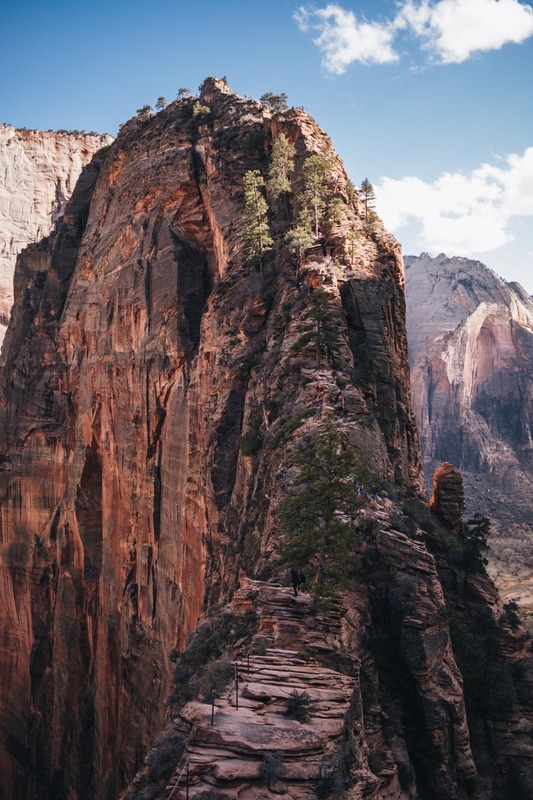 Along with great facilities and relative accessibility, this variety of Zion National Park hikes, offering visitors more intimate ways of exploring the sensational scenery, is why this park became and remains so very popular. 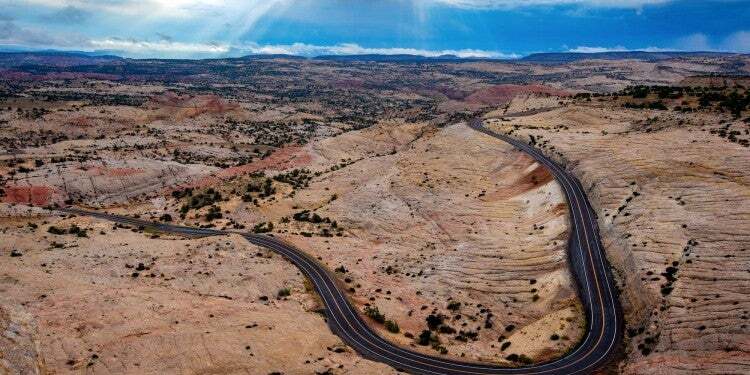 The trails in Zion National Park highlighted below are all in or near Zion Canyon, the park’s centerpiece and touristic heart. 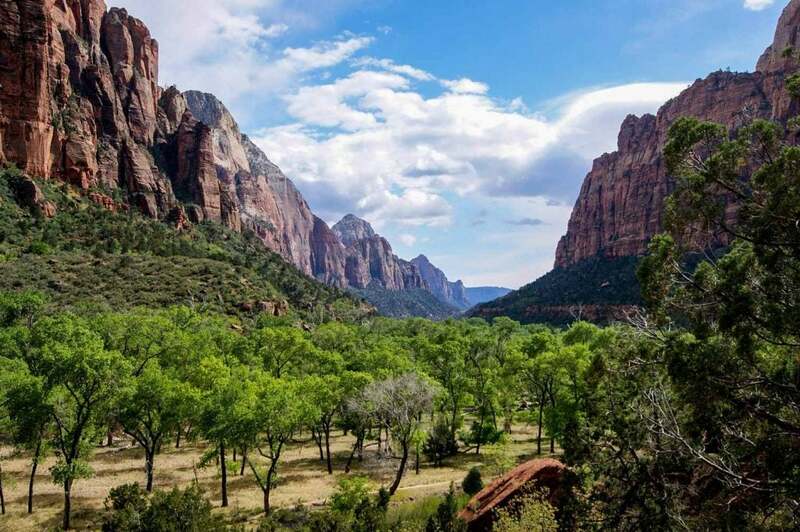 Although there are a few other interesting hikes in other, more remote, parts of the park, we’ll zoom in on only those in Zion Canyon because they’re much more accessible to and manageable by the general public. Plus, all of them also lie within easy reach—a walk or shuttle bus ride—from the two Zion Canyon campgrounds, which is always a nice bonus. 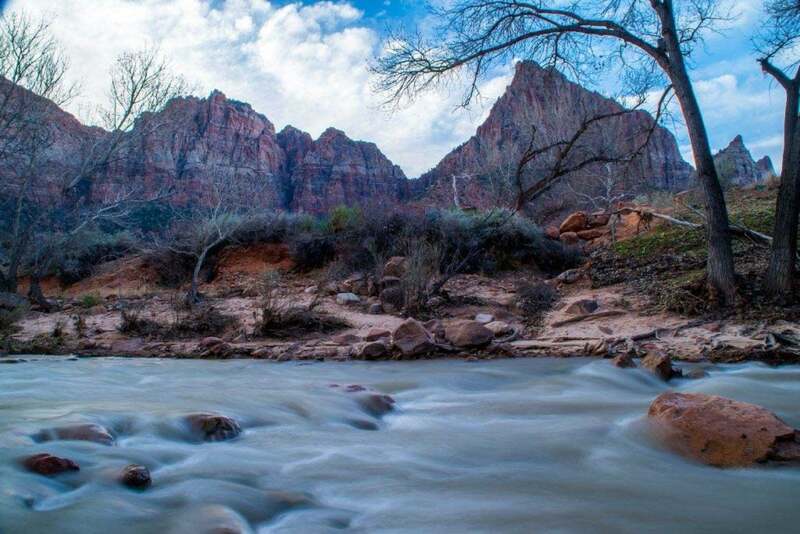 Image from The Dyrt camper Darrin L.
The easiest of all Zion National Park hikes, the Pa’rus Trail parallels a section of the Virgin River from the South Campground to Canyon Junction. The entire distance of this paved trail is 3.5 miles, but you can turn around whenever you like or hike one-way and take the free Zion Canyon shuttle bus back at either the Zion Human History Museum or Canyon Junction. It is wheelchair-accessible, but note that wheelchairs may need some occasional help. The Pa’rus Trail is also the only trail in the park where both bicycles and pets are allowed. Trailheads: Near the Visitor Center and across the bridge from the South Campground, as well as at the Canyon Junction shuttle bus stop. Image from The Dyrt camper Daniel S.
At the far end of Zion Canyon lies another easy, wheelchair-accessible trail. (Wheelchairs may need some assistance here, too.) The paved Riverside Walk starts at the Temple of Sinawava and follows the Virgin River upstream to the entrance to The Narrows. Beautiful scenery surrounds you here—fast-flowing water, lush vegetation and ever-narrowing canyon walls. The roundtrip is 2.2 miles. Trailhead: Across from the bathroom at the Temple of Sinawava shuttle bus stop. Zion Canyon’s Emerald Pools consist of the Lower and Upper Emerald Pools. The Lower Pools are reached via the Lower Emerald Pool Trail, which begins at Zion Lodge. This is another easy hike, a roundtrip of no longer than 1.2 miles, to a lush canyon oasis of crystal-clear pools, waterfalls and hanging gardens. The Upper Emerald Pools lie at the end of the Upper Emerald Pool Trail, which is accessed via either the Lower Emerald Pool Trail or the Kayenta Trail. The hike up to the Upper Pools is considered moderate. Note: both the Upper Emerald Pool and Kayenta Trails are currently closed due to rockfalls. Only the Lower Pools are accessible via the Lower Pool Trail. Check the national park’s website for updated information. Trailheads: Across the road from the Zion Lodge shuttle bus stop, as well as across the footbridge at The Grotto shuttle bus stop. Image from The Dyrt camper Jason P.
One of the easiest Zion National Park hikes to a viewpoint, the Watchman Trailhead lies across the road from the shuttle stop at the Zion Canyon Visitor Center. It is across the Virgin River from the South Campground and right next to the Watchman Campground. The Watchman is one of Zion Canyon’s most recognizable rock formations, the subject of countless photos. A moderate 3.3-mile trail, it leads to a viewpoint right underneath this mighty cliff. 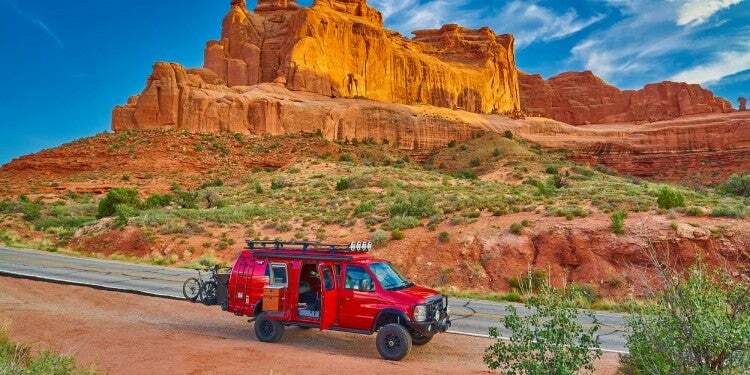 The vista takes in lower Zion Canyon, the Towers of the Virgin and the town of Springdale. It’s one of the best sunrise and sunset spots in the canyon. Trailhead: At the Visitor Center, accessible from both the South and Watchman Campgrounds. The Canyon Overlook Trail is the only short trail along the Zion-Mount Carmel Highway, a road opened in 1930 featuring a 1.1-mile tunnel through the massive sandstone. It was regarded as an engineering wonder at the time and it’s still an impressive feat of road construction today, especially because of its six huge view-offering windows. From Zion Canyon, the trailhead lies just behind the tunnel. This is on of the shorter Zion National Park hikes in the canyon, only a mile there and back, but classified as moderate because there are long drop-offs along the way. It ends at a viewpoint overlooking lower Zion Canyon and Pine Creek Canyon, as well as the series of switchbacks leading up to the tunnel. Trailhead: Near the eastern entrance of the Zion-Mount Carmel Tunnel. One of the best and most challenging Zion National Park hikes that can be done in a day is Observation Point. 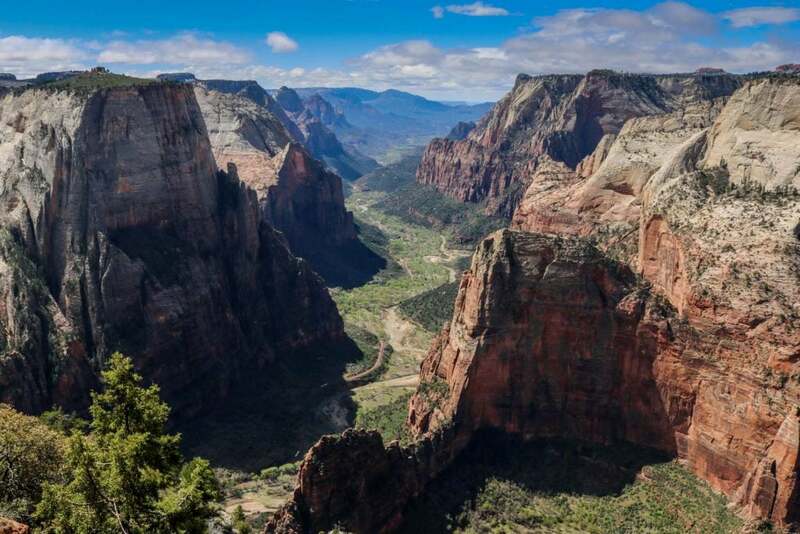 You reach this glorious overlook—arguably the greatest in Zion Canyon—via the East Rim Trail and the Observation Point Trail. Starting from the trailhead at the Weeping Rock shuttle stop, the trail switchbacks up past the Hidden Canyon Trail turn-off, through Echo Canyon and onto the East Rim Trail. This is perhaps the most strenuous hike in Zion Canyon, a 6-hour and 8-mile roundtrip to the canyon rim and back down. From Observation Point, you can peer down to the Virgin River, see much of Zion Canyon and enjoy a clear view of nearby Angels Landing. Calling it spectacular would do it injustice—no words are sufficient for this view. Trailhead: At the Weeping Rock shuttle bus stop. This may well be the most famous of all Zion National Park hikes. Angels Landing, although quite steep, is more a mental challenge than it is a physical one. A huge outcrop of rock towering above Zion Canyon, it is reached first via a series of switchbacks and then via a super-steep and narrow trail with sheer drop-offs on both sides. On that last half-mile to the top, bolted chains offer some welcome handholds while you inch your way up. This is a thrilling hike, but not for those with a fear of heights. The entire trip is 5.4 miles, which takes about 4 hours to complete. It can, however, sometimes be longer if there’s a hiker jam on that last steep, narrow stretch. Trailhead: Across the road and footbridge from The Grotto shuttle bus stop. Image from The Dyrt camper Denise B. 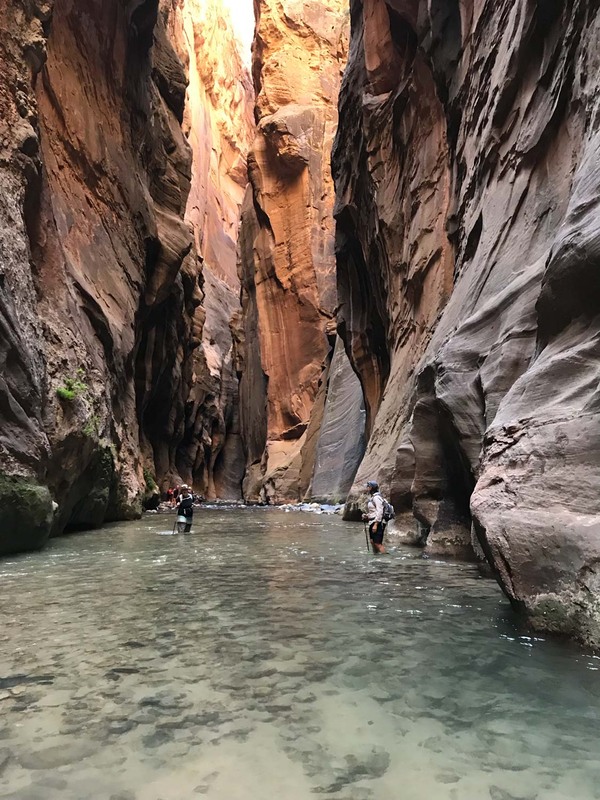 While Angels Landing challenges hikers who aren’t fans of great heights, The Narrows may daunt those who suffer from claustrophobia. This is where the Virgin River runs through a narrow canyon with walls rising a thousand feet high, while the width of the river is sometimes only 20 or 30 feet. The northern section of Zion Canyon, The Narrows is among the most iconic Zion National Park hikes. You reach the entrance via the above-mentioned Riverside Trail. From then on, there is no trail anymore and you’ll be walking in the river. In The Narrows, the Virgin River literally is the trail. There is no set distance for hiking in The Narrows. You can wade upstream for only a few minutes or you can make it long day hike and wade (and sometimes even swim) your way to the very end and back. It is important to realize, however, that this is a very narrow river canyon. Flash floods happen regularly and it is, therefore, critical that you keep an eye at the weather forecast—not only in Zion National Park but in the general region. Distant rainfall can still cause flash floods here. Always ask for predictions at a visitor center. Trailhead: At the end of the Riverside Walk, accessible from the Temple of Sinawava shuttle bus stop. 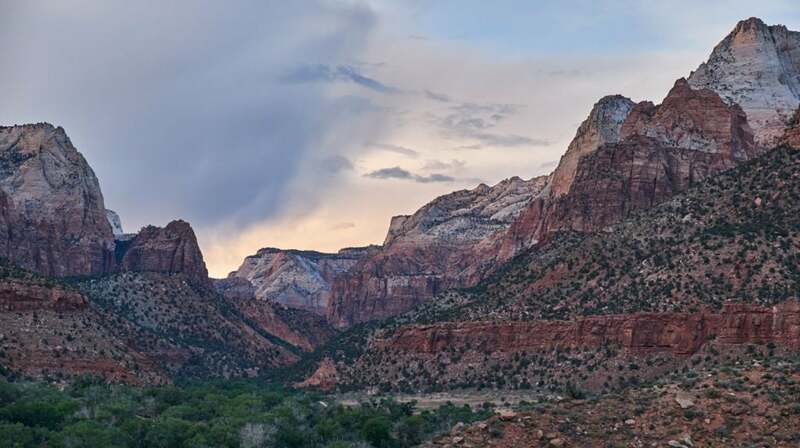 There are three campgrounds in Zion National Park—two near the South Entrance in Zion Canyon and one on the Kolob Terrace Road about an hour’s drive north from the canyon. Only the first two apply to the Zion National Park hikes discussed above. The other campground lies too far away and not near any accessible hikes. If you’d like to camp inside the park, make sure to reserve a site in advance during reservation season. In winter, all still-open sites are first come, first served. More specific information below. Remember that within the park, you can camp only at designated campsites. Overnight parking at parking lots and in pullouts is not permitted. 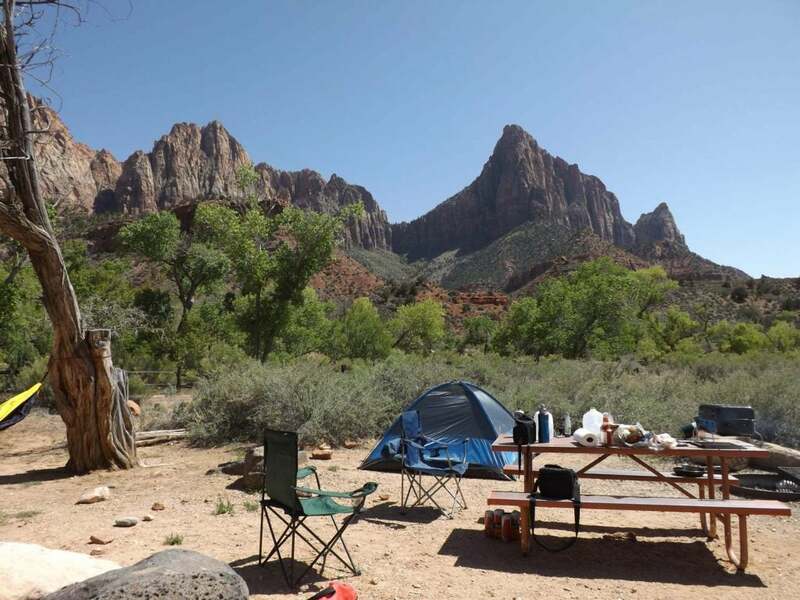 Although there are two rather large campgrounds in Zion Canyon, camping space is still limited. This is a very busy park, after all. 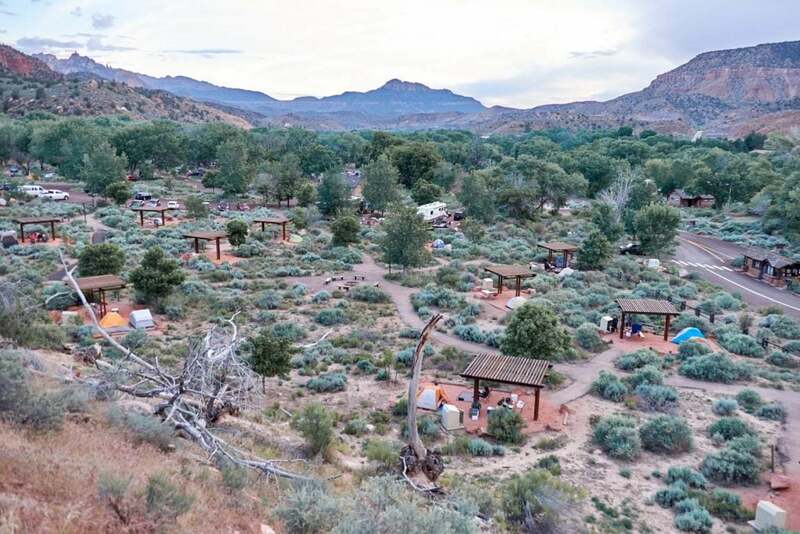 Neither campground has showers, but you can wash away the sweat and canyon dust in the town of Springdale before cozying up around a campfire or visiting the Zion Canyon Brewery, situated just across the Virgin River from the Watchman Campground. 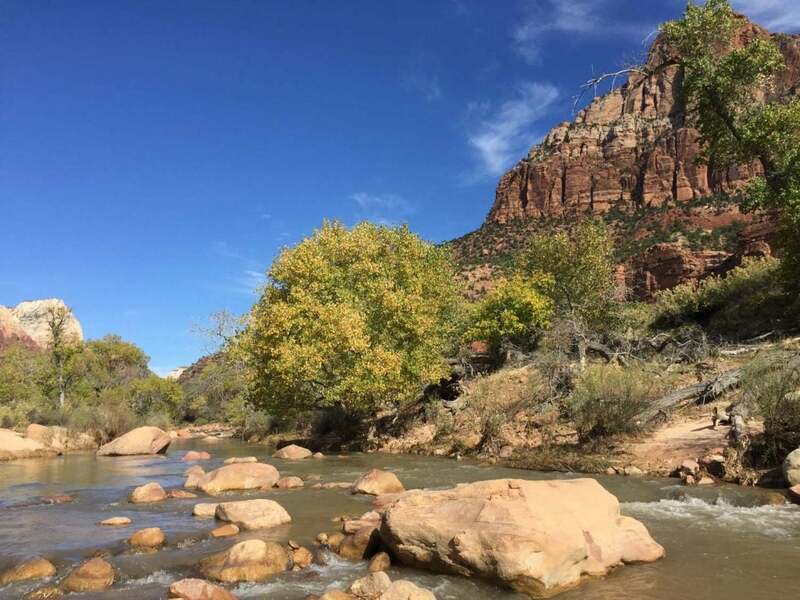 Image from The Dyrt camper Anthony P.
The South Campground lies on the west bank of the Virgin River, a half-mile beyond the South Entrance in Springdale, Utah. You can easily walk to the Zion Canyon shuttle stop, the Zion Canyon visitor center, and the shops and restaurants in Springdale. There’s also a shuttle bus that takes visitors further into Springdale. The campground itself has 117 sites, 3 of which are wheelchair accessible. Campsites have a picnic table and fire ring. There are no hook-ups in the South Campground, but there is potable water, a dump station and restrooms. In addition to tents and RVs, you can also sleep in your hammock here. If you do, make sure you hang it within your campsite’s footprint and from trees with a diameter of at least 10 inches. This campground is open from early-March through Thanksgiving weekend. It closes for winter. All sites are reservable up to 14 days before your arrival. 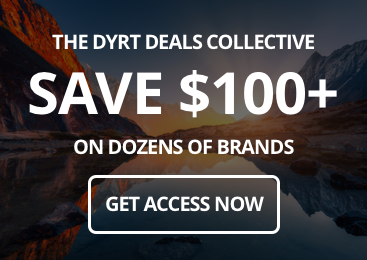 Make sure to book as soon as your specific booking window opens up—these sites go fast. 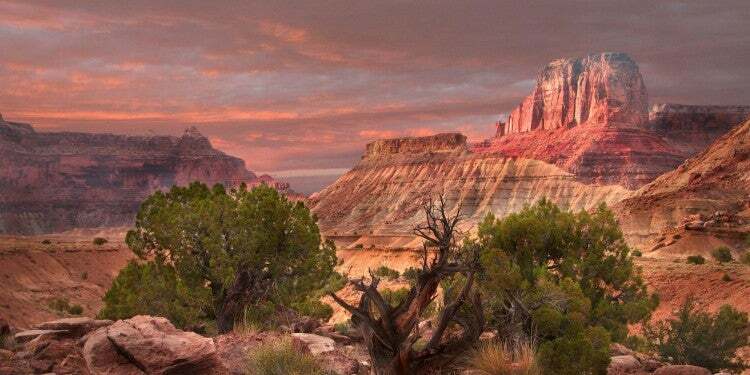 “I love South Campground when I go to Zion. Recently, they switched over from First Come First Serve to a 2 week reservation system ($20/night) so be aware of this when you want to go. It is worth one morning doing the Watchman Trail, and also pulling your camping chair into the virgin river behind the campground after a day of hiking and walking.” —The Dyrt camper Cynthia L.
Across the Virgin River from the South Campground and adjacent to the visitor center is the Watchman Campground. 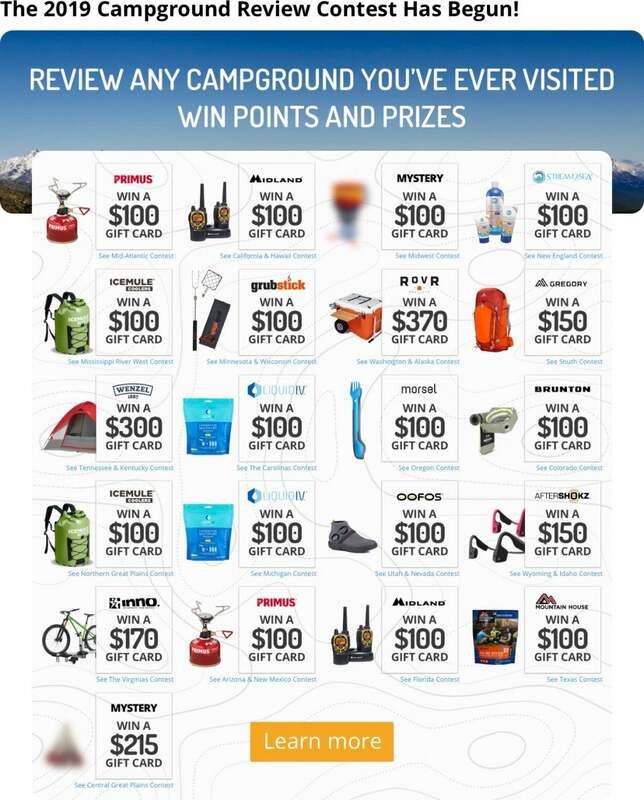 It is fairly comparable to the campground above, the only differences being that it’s open year-round, it’s larger, holding 176 regular sites, six group sites and two wheelchair-accessible sites, and also has electric sites. When camping at Watchman Campground, you’ll enjoy easy access to the visitor center and shuttles buses. 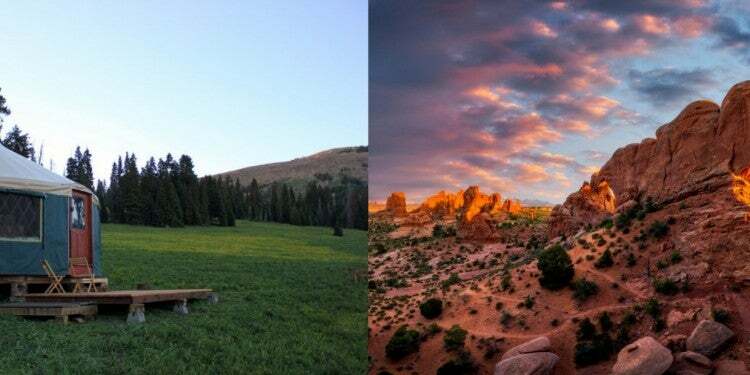 A small handful of Zion National Park hikes are also accessible directly from this campground, such as the Watchman Trail and the Pa’rus Trail. You can reserve campsites up to six months in advance from March through Thanksgiving weekend, which you are strongly encouraged to do. This campground is full nearly every night during reservation season. In the low season, late-November through February, all sites are first come, first served. Note that in winter, the shuttle bus does not run and you can take your own car into Zion Canyon. “Even though just adjacent to the main attractions of the park, the campground is nestled between the mountains. The range towers over you as you cook, sleep, and stargaze. The park shuttle is super close. Pure convenience after a hard hike.” —The Dyrt camper Michael D.
Born and raised in Belgium, Bram Reusen is now based in Portland, Oregon. 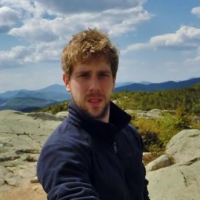 An avid hiker and camper, he’s traveled all over Australia, Europe and the USA in search of the world’s most beautiful and remarkable national parks. 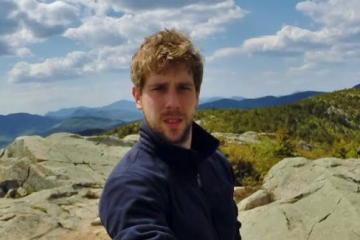 When he’s not out wandering in forests, over mountains or along coasts, you can find him in front of his laptop writing about his adventures and editing photos. You might also spot him in a local craft brewery sipping a beer or two.